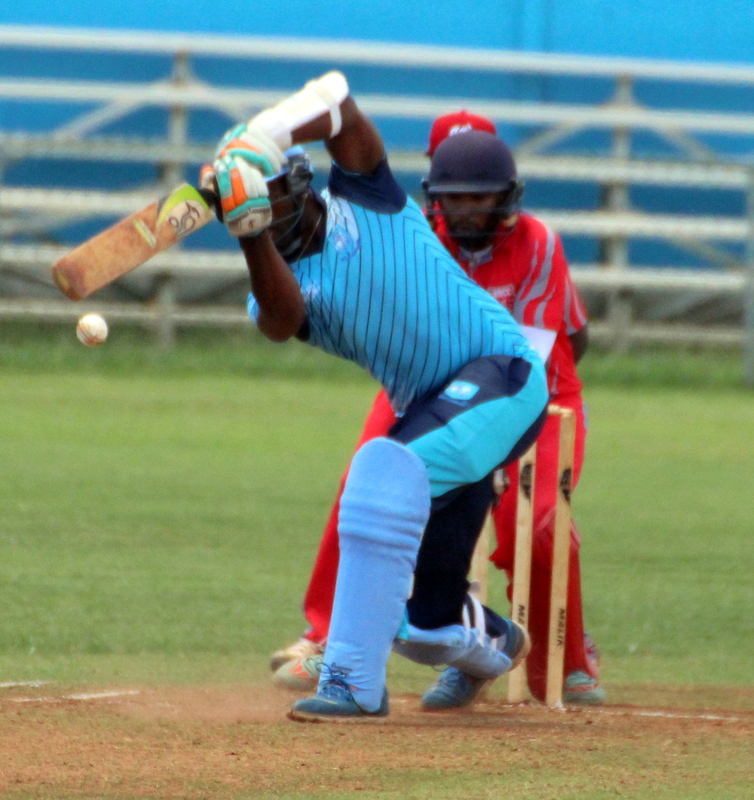 At the Wellington Oval, the St. George’s Cricket Club were bowled out for 133, Temiko Wilson was the top scorer with 34, while Zeko Burgess was the pick of the Bailey’s Bay bowlers with figures of 10-0-31-5 and Rodney Trott returned figures of 10-3-22-3. In reply Bailey’s Bay were bowled out for 134/2, Stephen Outerbridge was the top scorer with a knock of 52 not out and Terryn Fray added 51 not out, captain Macai Simmons was the pick of the St. George’s Cricket Club bowlers with figures of 9.2-1-36-2. At Lord’s in St. David’s, the home team batted first and would score 270/9 with Kevin Hurdle the top scorer with a knock of 111. Hurdle faced 64 balls, hitting 9 sixes and 9 fours, Isaiah Richardson was the pick of the Somerset Cricket Club bowlers with figures of 9-1-30-3, while Greg Maybury bowled 10-1-36-3. In reply the Somerset Cricket Club were bowled out for 131, captain Jordan DeSilva was the top scorer with 43, Rudell Pitcher was the pick of the St. David’s Cricket Club bowlers with figures of 7-1-24-3. League leaders Southampton Rangers traveled to St. John’s Field and defeated Western Stars by 105 runs, batting first the Southampton Rangers would score 298/4, with Malachi Jones the top scorer with 122, he hit 5 fours and 8 sixes off the 124 balls he faced, captain Dion Stovell added 68. Seth Campbell was the pick of the Western Stars bowlers with figures of 10-0-44-2. In reply, Western Stars would score 193/9, Jekon Edness and Wendell White both scored 32 runs, while Charles Trott was the pick of the Southampton Rangers bowlers with figures of 6-0-23-2. At the Devonshire Rec., visitors PHC picked up their first win of the 50 Over League Season with a 4 wicket victory over the Devonshire Recreation Club. Tarik Jennings and Oladapo Frederick both scored 37 runs to lead the Devonshire Recreation Club, while Tyrique Smith led the PHC bowling attack with figures of 5.5-0-19-3. In reply PHC would score 157/6, with Dev Hanuman the top scorer with 54, while Bervin Carr was the pick of the Devonshire Recreation Club bowler with figures of 5-1-11-2. Somerset Bridge traveled to the Somerset Cricket Club and were bowled out for 129, Donnie Charles was the top scorer with a knock of 41, Deunte Darrell was the pick of the Willow Cuts bowlers with figures of 8-1-30-3, while Kwasi James returned figures of 8-1-36-3. In reply James would score 67 not out and Kamal Bashir added 43 not out as Willow Cuts did not lose a wicket chasing down the target. At the Southampton Oval, Cofield Robinson scored 55 runs to guide Flatt’s Victoria to a total of 193 against Warwick Workmen’s. Kian Butterfield was the pick of the Warwick Workmen’s Club bowlers with figures of 4.3-0-28-3. In reply Warwick Workmen’s were bowled out for 98, Mckario Burch was the top scorer with 34, while Regino Smith was the pick of the Flatt’s Victoria bowlers with figures of 4.1-0-13-5.